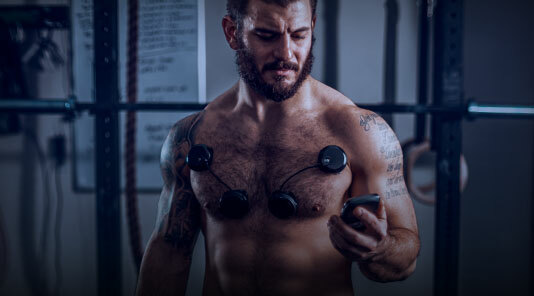 The Compex lineup offers the best of training and recovery to athletes and gym rats and with the newest options of the TENS add-on, users can treat pain, too. 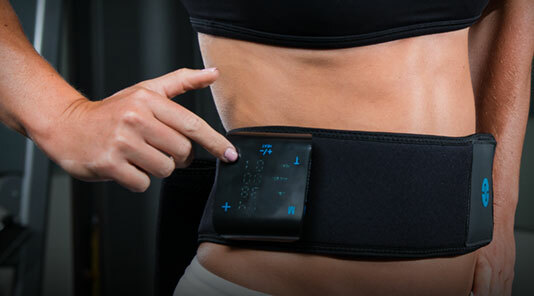 Whether injury is acute or chronic, the use of of a TENS device can help to inhibit the experience of pain by targeting the sensory nervous system. 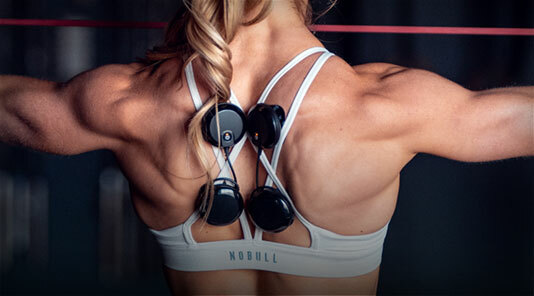 With new knee and back wraps from Compex, pain management is even easier for common target areas by combining compression, heat TENS, and NMES all in one simple package! 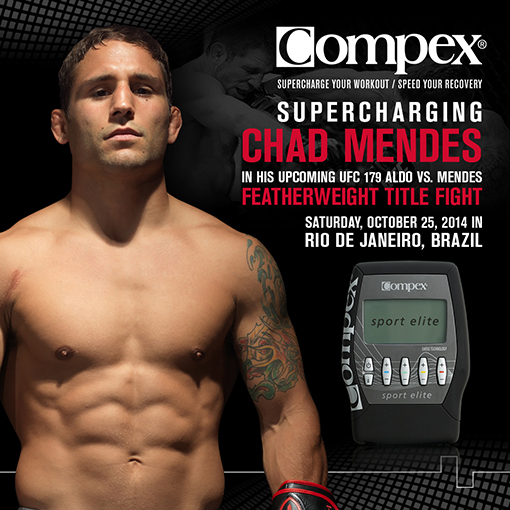 With the new Compex wraps, targeting bodily pain becomes easier and puts treatment into the hands of individuals. With specially designed wraps for both the low back and knee, users that suffer from injuries to these common areas can seek relief. 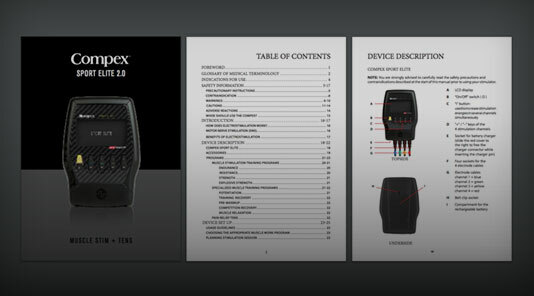 The anatomical fit of the Compex wraps maximizes the efficiency of the TENS device and eliminates the need for electrodes while also providing compression. No cords and sticky pads to worry about! 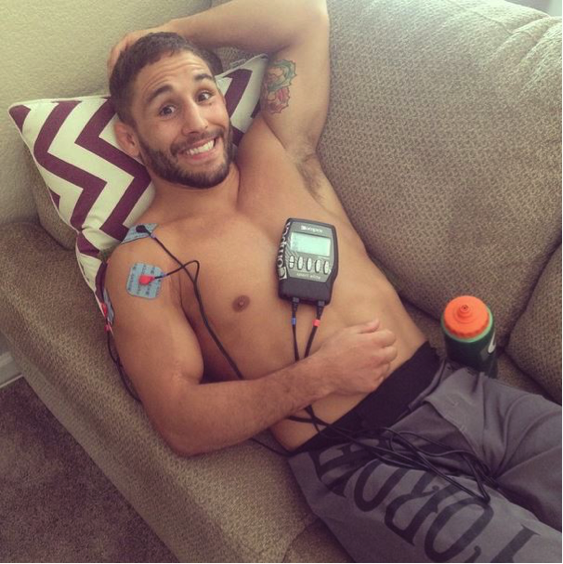 These wraps also have two levels of heat control to increase blood flow to the affected area. 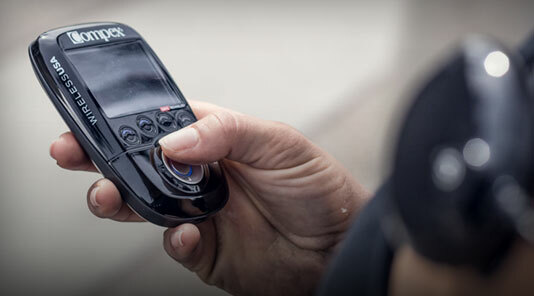 The wireless device fitted to the Compex wraps feature an easy-to-use touch screen to choose the program, intensity level, and control heat functions. 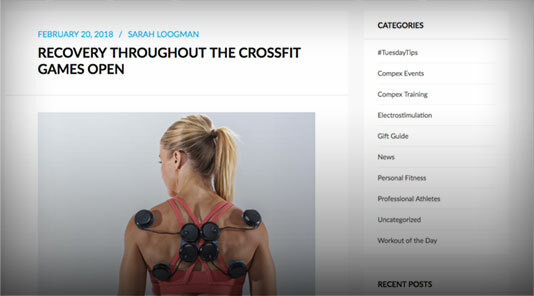 Portable and lightweight, it’s an easy add-in to your gym bag or travel pack when on the go! 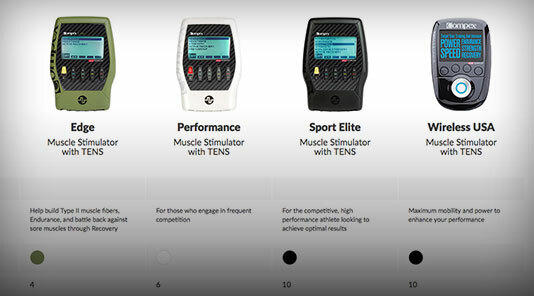 Though both TENS and NMES may appear similar, the use of either device serve very different purposes. 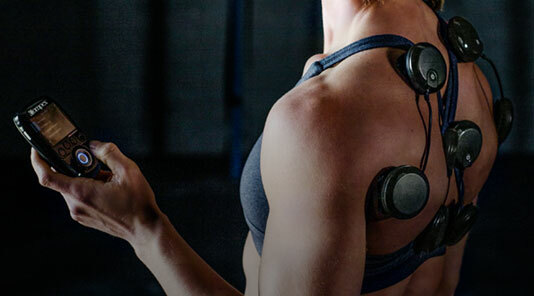 An NMES device targets muscle fibers, exciting muscle tissue much like regular exercise would. This stimulation allows muscle growth and can aid in recovery from training by bringing blood flow back to sore or damaged tissue. On the other hand, a TENS device targets the sensory nerves, inhibiting the reception of the “pain signal” to the brain. This function “tricks” the mind into ignoring pain for a period of time and is also believed to release endorphins that further aid in shutting off pain. 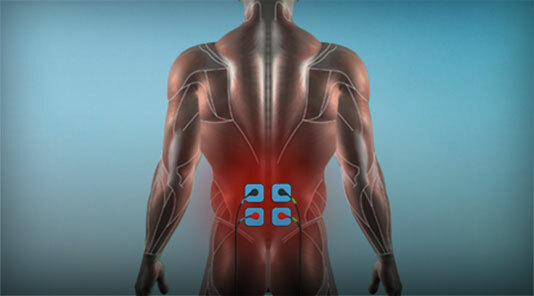 Sufferers of bulging discs or even arthritis often benefit greatly from the use of TENS. 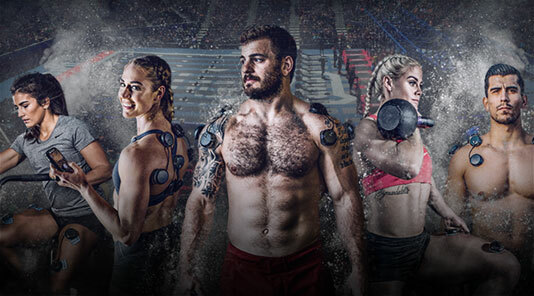 More effective and usable than ever, Compex’s most recent expanses offer considerable benefit to both training, recovery and re-cooperation. Gone are the days of relying solely on therapists for relieving pain and treating injury - it can happen right from your gym bag, right where you are! 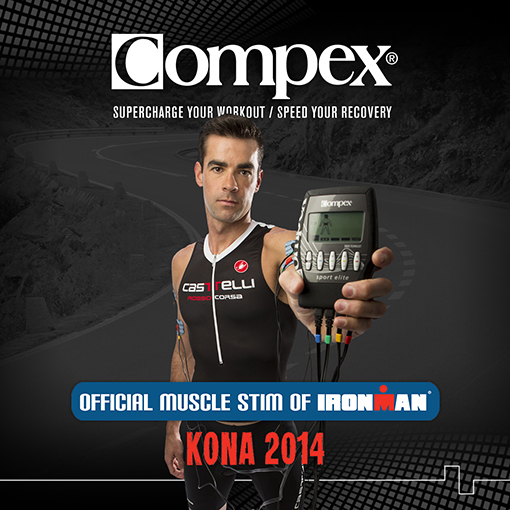 Compex, the leader in electric muscle stimulation devices, is proud to announce that its sponsored athlete, Mirinda “Rinny” Carfrae, 33, has won the 2014 Ironman World Championship title in Kailua Kona, Hawaii. 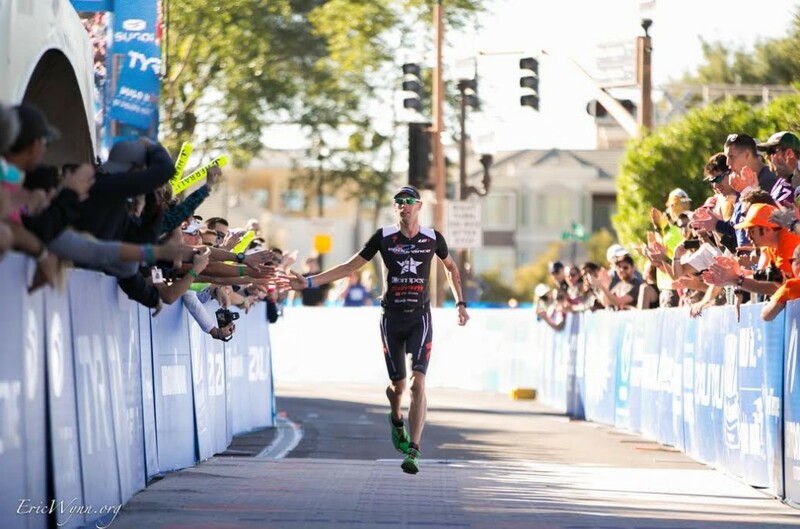 On October 11, more than 2,100 high performance athletes began the grueling course, which consists of a 2.4 mile swim, 112 mile bike ride and 26.2 mile marathon run. 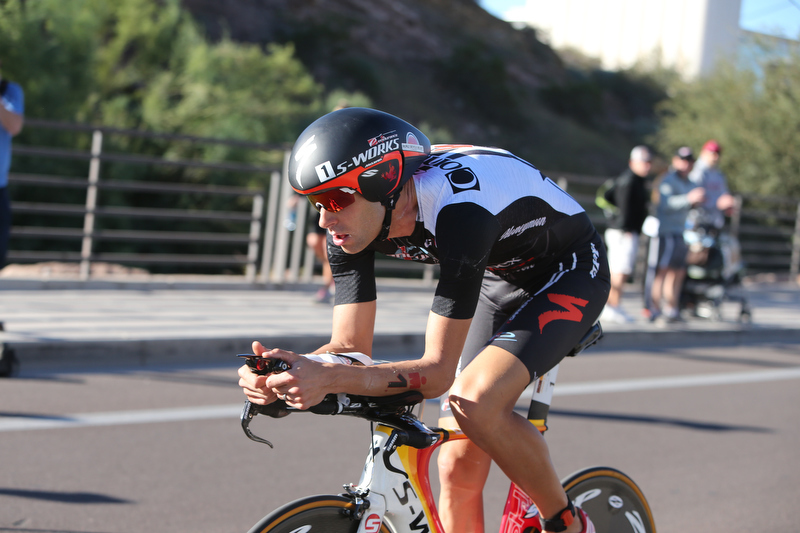 The Ironman World Championship in Kona is known to be the most physically demanding, single day sporting event and the choppy water conditions, extremely windy bike ride, and hot and humid run made for an even more arduous experience. Carfrae, an Australian native known for her exceptional marathon times, blew past Switzerland’s Daniela Ryf four miles before the finish line winning her second straight and third overall world title. During the 2013 Ironman World Championship, Carfrae set the women’s record for the run portion at 2:50:38. This year, she finished the 140 mile race in 9:00:55, with a 2:50:26 marathon time, making her the fourth woman in history to have won the Ironman Hawaii three times or more. She joins Paula Newby-Fraser, Natascha Badmann and Chrissie Wellington in this highly elite group. Rinny says that crossing the finish line in Kona and defending her 2013 title was a dream. “When I started the run, I knew I had to dig and hope for the best,” she says. 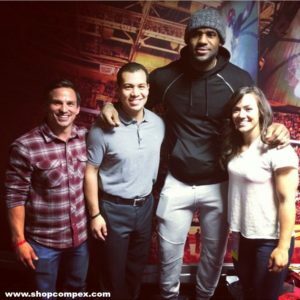 “I am so thrilled about the day and how it ultimately unfolded. 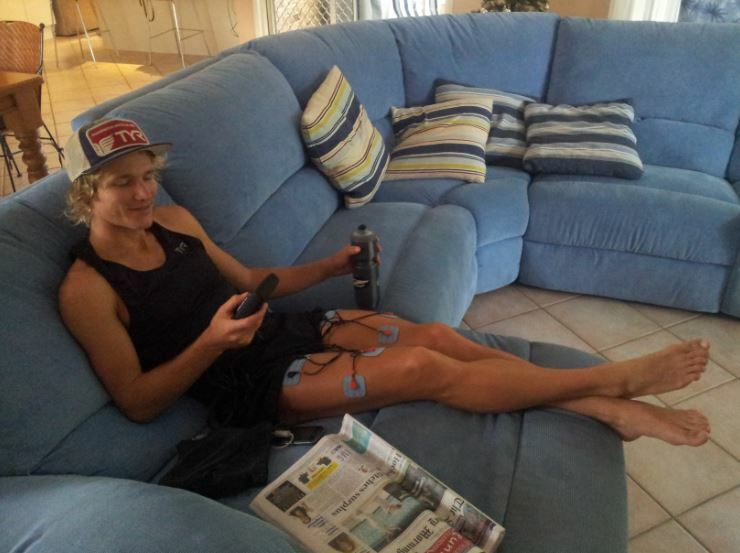 Now it’s time to celebrate and recover!” In addition to celebrating her victory in Kona, she says she’ll be using her Compex muscle stimulator as she travels home. 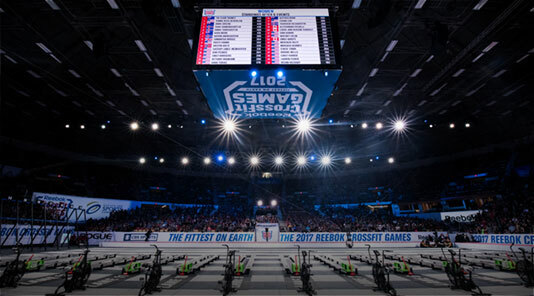 Carfrae has competed in the Ironman six times and has received podium positions each time (with three gold, two silver and one bronze medal). 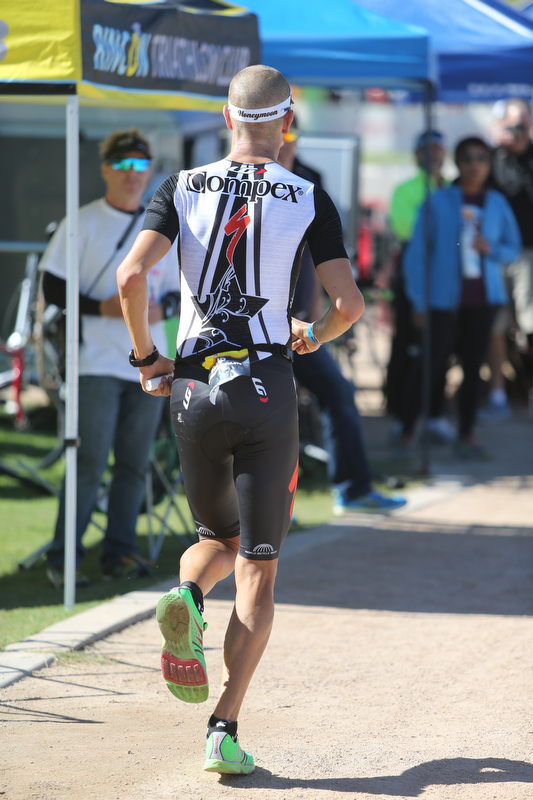 She began competing at the age of 19 and has since dominated in marathon and half Ironman competitions.